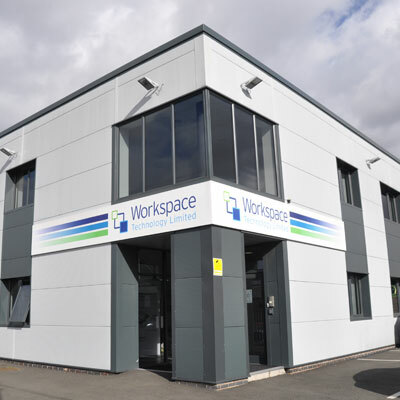 At Workspace Technology, we aim to deliver competitive advantage to our clients through the design and implementation of agile, quality and expertly engineered data centre infrastructure solutions. From bespoke full-scale design and build projects to modular, pre-fabricated and micro data centre solutions, we work alongside our loyal clients from a variety of sectors to deliver ‘fit for purpose’ systems that far exceed their expectations. Our range of expertise enables us to offer you a 360-degree in-house delivery service from design to build, commissioning and comprehensive post completion maintenance and support contracts. Our portfolio of products and services include; Raised Access Flooring, Modular Walling Systems, Rack Infrastructures, UPS systems, Critical Power Distribution, Cooling, Fire Suppression and Monitoring of network critical physical data centre infrastructure. Quality is key to our success therefore we only utilise innovative and proven technology from reputable manufacturing partners to ensure that our data centres run as efficiently as possible, helping you to achieve your sustainability targets by reducing your carbon footprint. As data centre providers, we offer a quality solution for those that are looking for secure, modern and 24/7 monitored rack colocation hosting. Our DC One facility provides businesses and IT providers with the perfect agile future-proofed solution. Our professional team of engineers are committed to service excellence and our Maintenance & Support Services deliver a comprehensive range of expert 24/7 planned preventative maintenance & emergency callout, remote monitoring, optimisation and facilities management services. At Workspace Technology, our vision is clear; ‘to be your trusted partner for the delivery of mission critical infrastructure through the expert design of contemporary data centre solutions’. Simply contact us today to find out more about our data center services and see how we can support you with your mission critical infrastructure and put you ahead of the game.